The show may be called The Flash, but Barry Allen isn’t the only character that we’ve gotten to know this season. Over the last nine episodes, we’ve learned a little bit about each of the main cast, such as Catilin’s fiancé Ronnie, Eddie having a tough childhood and Joe having been a single parent since Iris was young. However, one character we haven’t learned much about is Cisco Ramon, but on the series is Team Flash’s resident tech genius. His past is still a mystery, but that will change later this season when a member of his family stops by for a visit. 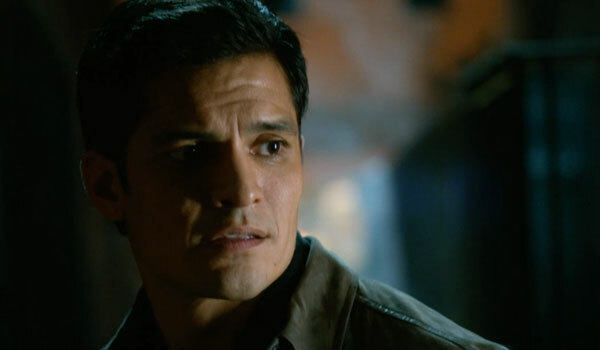 The Flash has hired Sleepy Hollow actor Nicholas Gonzalez to play Cisco’s older brother Dante, according to TV Line. Dante is described as a talented pianist who never reached his full potential. Content to be the “family favorite,” Dante finds himself jealous of Cisco’s success, but will have to rely on his brother for survival when they get caught up in some dangerous events. Dante is set to appear in Episode 16, titled “Rogue Time.” This is the same episode that The Tomorrow People actress Peyton List will debut as Lisa Snart, Captain Cold’s sister. In her character description, it was mentioned that she would be crossing paths with Cisco, so it’s likely that Dante will be involved with this somehow, as well. In the comics, family has always been a huge part of Cisco’s life, and it’s good that the show is keeping that intact. In the New 52, he is the youngest of three, his older brothers being Dante and Armando. Armando was killed during Darkseid’s invasion of Earth by the same boom tube (an extra dimensional transportation device) that gave Cisco his vibrational powers to become superhero Vibe. Dante became somewhat of a slacker afterwards, though he still cares for his brother and worries about his exploits as a superhero. This version of Dante sounds more successful than his comic book incarnation, but has issues with Cisco’s success building all the “cool toys” for S.T.A.R. Labs. Obviously the Cisco in the series may never become like the comic book Cisco, but introducing his family is a great way to learn about his background. On the show, Cisco offers comic relief and is a fun character to watch (without him, we wouldn’t have most of our supervillain code names), but it’s about time we explore what makes him tick and how he turned out the way he is. Dante’s introduction will help with that, and when his brother learns all the good that Cisco is accomplishing in Central City, maybe he’ll be more understanding towards him.